During my time in Hoi An, I’ve been lucky enough to meet some wonderful people and to make some great friends. One of these lovely friends was kind enough to invite me to the Grand Opening and launch of ‘Kimmy Bespoke’ (in exchange, I was provided with a beautiful, tailor-made dress). Kimmy Bespoke is a new concept in Hoi An. Not only is it the first bespoke tailor shop in Hoi An, but – unlike other businesses – Kimmy’s has their own in-house production team. 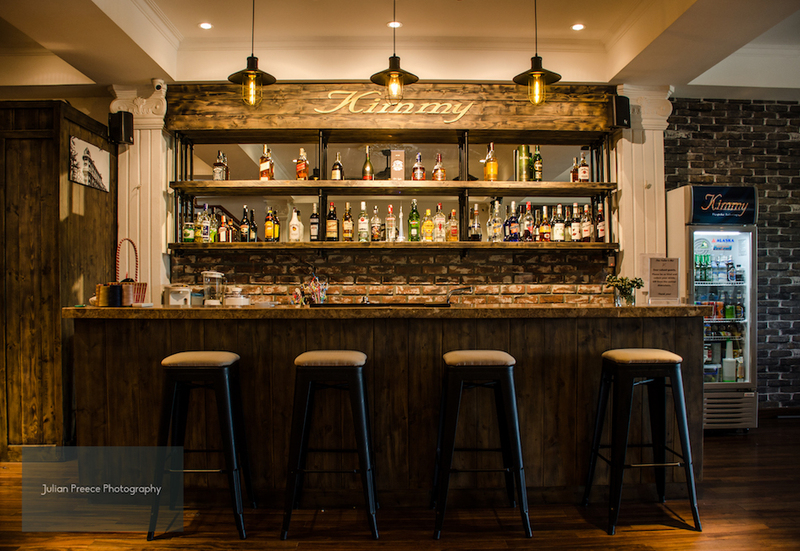 The Kimmy Bespoke venue comprises of a tailor shop with a bar upstairs for people to relax in pre or post fitting, or to soak in riverside views of the Old Town. After spending just a few hours in Hoi An, it’s impossible not to notice that the town is comprised of a large number of tailor shops. Despite being here for almost eight months, before Kimmy’s new launch I hadn’t yet experienced the process of getting something tailor-made. First up was the initial measuring, which only took about fifteen minutes. The shop assistant was extremely professional and scribbled down numbers with such ease, it was as though she were plucking them out of thin air. Although the dress was being designed by Kimmy’s, the lady measuring me provided me with some useful advice about styles that would suit me if I wanted to get a dress made in the future. Following the measuring, I had another appointment a couple of days later where I got to see the dress for the first time. It was extremely well made, with a very intricate button design on the back and it fit almost perfectly! I felt as though I’d stepped out of the Disney scene where Sleeping Beauty is dressed by magic in a beautiful gown made just for her. After living in shorts and t-shirts for months, I suddenly felt transformed. A team of tailors then began eyeing me up and down, marking the dress with chalk and loosely stitching some guidelines in so they could adjust it to fit me even better. The next day I went back to the tailor shop for another fitting, which ended up being the final one, as the dress had already been altered to fit me better than anything I’d ever owned. I felt even more like a princess! The launch event took place a few days later in Kimmy’s new store, which looked completely different to any of the other shops I’d been in during my time in Hoi An. Not only did it feature a grand staircase and mirrored walls, but there was also a cocktail bar and comfortable seating. I felt like I was in a palace rather than a tailor shop! A number of high society guests were in attendance, including Miss Vietnam 2013 and delicious nibbles were passed around. Although my experience with Kimmy’s wasn’t ‘typical’ (as the dress was made using Kimmy’s design of choice), I still found it to be great fun. There is an incredible plethora of tailor shops in Hoi An which can be daunting, but after my time at Kimmy’s I would definitely consider going back. 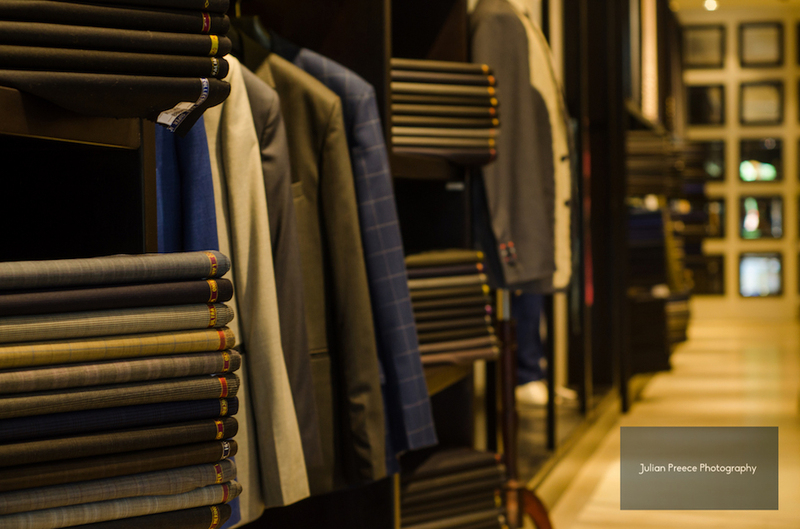 I’d probably head to their new, bespoke store for the whole process next time though – just to feel a bit more special (and to make full use of ‘The Tailor’s Bar’)!